All proceeds will be used to inspire potential bone marrow stem cell donors to join the South African Bone Marrow Registry. And the more donors they have on the registry the more hope leukemia patients have of finding their 1:100 000 lifesaving donor match. Guests can expect a cocktail reception, silent auction and culinary feast prepared by the renowned Chef Annalize Buchanan, while DJ Rene Tanguy will also have you movin’ & shakin’. 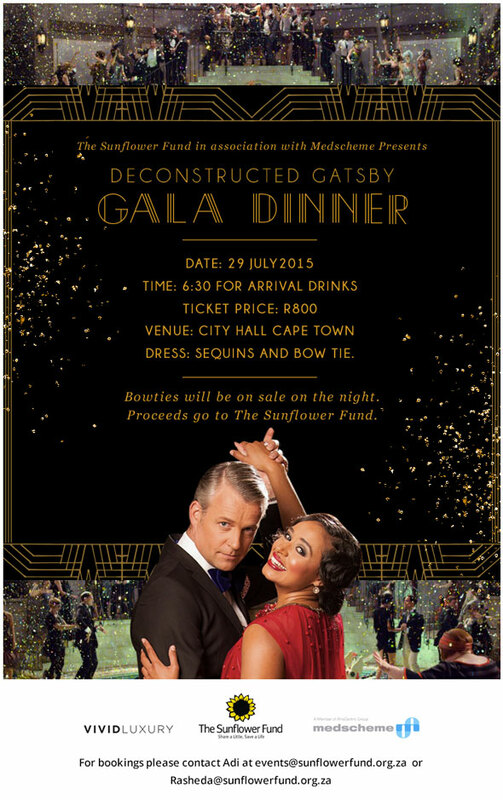 Come on people – this promises to be a great night out for an incredible cause.